We have listed our top 5 frequently asked questions for multi-fuel stoves. What is a multi-fuel stove? Often referred to as a solid fuel appliance, a multi-fuel stove has been specifically designed to burn a combination of materials including logs, peat/turf briquettes and smokeless fuels. A multi-fuel stove incorporates both a riddling grate and a built-in ashpan. The riddling grate allows for the fuel to be “riddled” which is the term used for the removal of ash from the combustion chamber. Today, there is an extensive range of stoves with a riddling facility that allows you to “riddle” your fire without having to open the stove doors. The ashpan is a metal pan that sits underneath the riddling grate to both collect and enable the safe removal of the ashes that are created while the stove is in use. By riddling the stove, the ash can safely fall through the grate into the ashpan allowing you to empty safely. 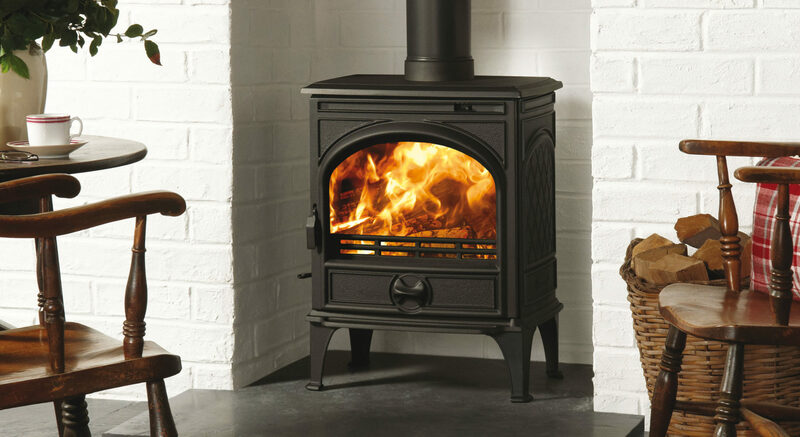 What is the main difference between a multi-fuel and wood burning stove? The most common difference between Dovre multi-fuel and wood burning stoves is the type of fuel burnt in each appliance. Both stoves have the same exterior style and design but the internal structure has been specifically created to cater for the fuel type that it burns. 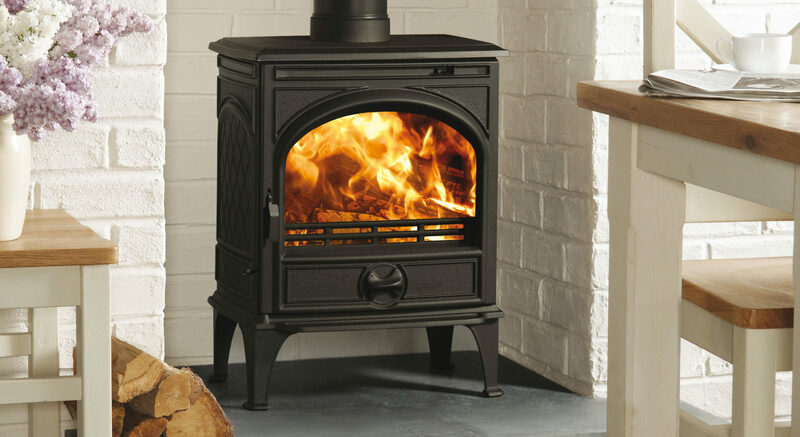 To provide optimum burning efficiency, the raised grate of a multi-fuel stove allows the smokeless fuel to burn easily while stoves designed as dedicated wood burners have a fixed grate and no ash pan since wood burns best on a bed of ashes. Can I use my multi-fuel stove in a Smoke Control Area? If you would like to use your multi-fuel stove in a Smoke Control Area, it is important that you check with the DEFRA website to find out the fuels that you are authorised to burn. You can also check with your local retailer for recommendations. What are the latest multi-fuel stove designs? 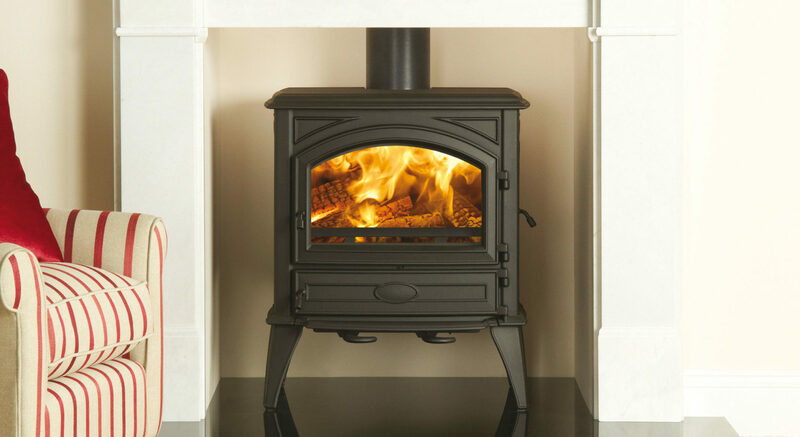 From a traditional cottage kitchen to a modern townhouse living room, there is a variety of multi-fuel stove designs available to suit a wide range of interior decors. Dovre is home to some exceptionally designed multi-fuel stoves. With an extensive front window and glass side panels, the Dovre 4CB multi-fuel stove creates a bigger impact in rooms of larger proportions. There is even a choice of a pedestal or wood store bases to elevate the stove and enjoy the exceptional swirling flames. For a more unusual look, the visually appealing Vintage range of multi-fuel stoves capture the smooth, distinctive style of appliances from the 1960s and ‘70s. For effective and efficient burning, these cast iron multi-fuel stoves from Dovre also incorporate the latest Cleanburn and Airwash system. Many Dovre stoves are also highly efficient; you can find many multi-fuel models with an efficiency level of up to 83%. Who can install my multi-fuel stove? 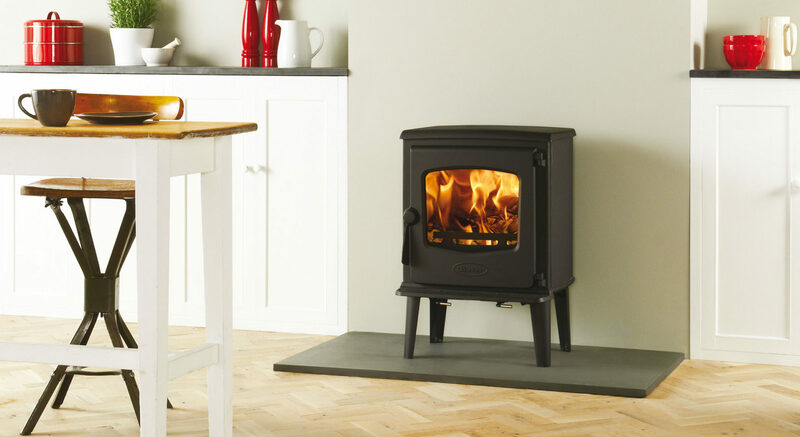 Before you purchase a multi-fuel stove, it is important that your home has a site survey to explore all the limitations and benefits of installing the appliance into your home. We recommend that your installation is carried out properly by a trained and competent individual. A HETAS installer will install your stove safely, efficiently and adhere to installation compliance. Find your nearest Dovre retailer.